5 mm Classic Bangle in 14K Yellow Gold . 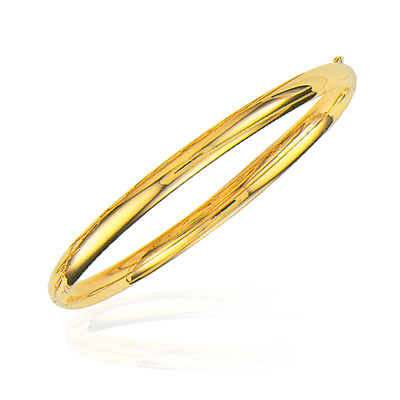 This charming Classic Bangle is crafted in 14K Yellow Gold. Approximate Gold Weight: 4.80 Grams. A classy bangle articulating elegance.